This is delicious and instant breakfast recipe made with maida, sooji (semolina) and other ingredients which is easily available in your kitchen. 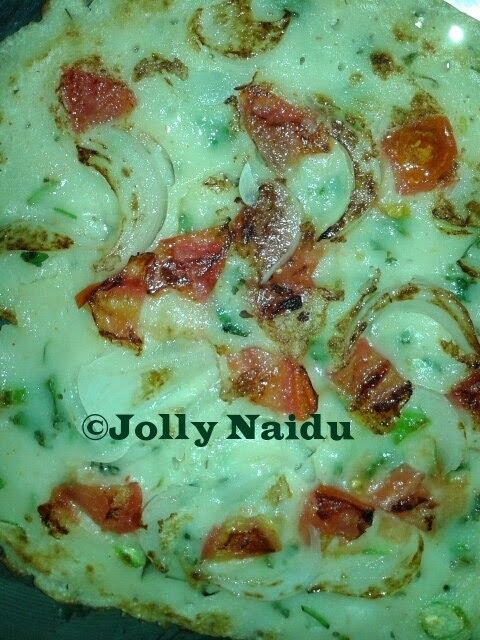 This is a very popular South-Indian dish which is mixed with North-Indian tadka. This is my favorite recipe. This special recipe batter is just differ from dosa batter. 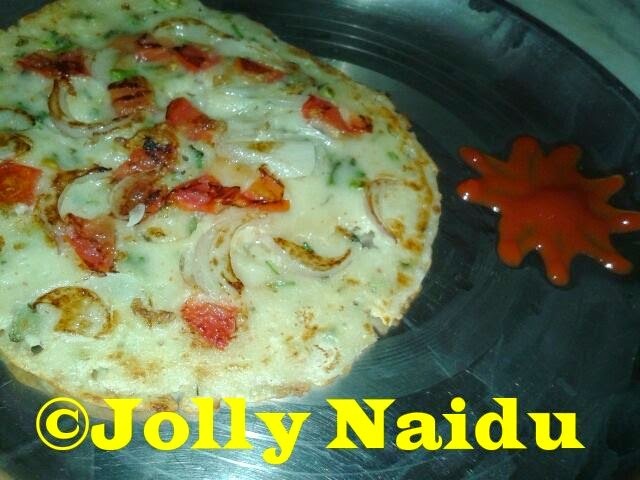 This is very soft and fluffy masala veggie pancake. Quick and easy recipe prepared without any extra preparations. This can be served simply with tomato sauce, tangy sambar and or with green chutney also. 1. 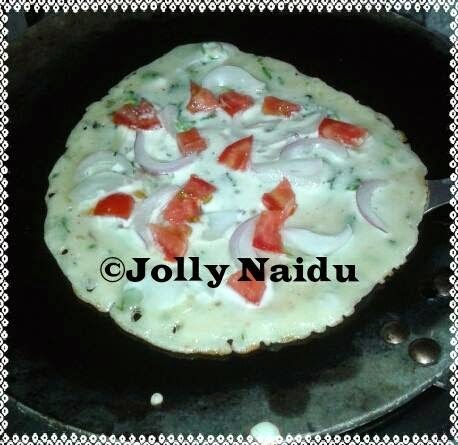 For preparing delicious onion-tomato uttapam, take a bowl, mix in maida, semolina, curd and a little water. 2. Add in green chillies, coriander leaves, salt to taste and red chilli powder. Mix well. 3. Heat a non-stick tawa or a normal tawa. Add a little bit oil on tawa and Take a laddle full of the batter and spread it on the tawa. Spread chopped onion and tomatoes from top. 4. Add oil and fry both the sides with oil. 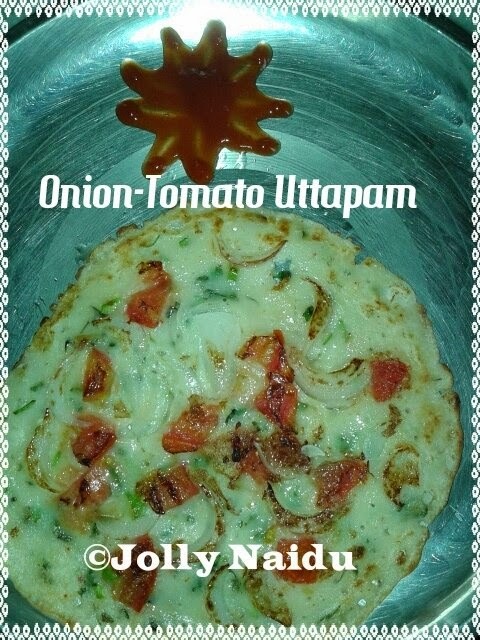 Press the tomatoes slices on it, so they will easily stick with uttapam batter.